Living and teaching in remote Northern Territory communities. 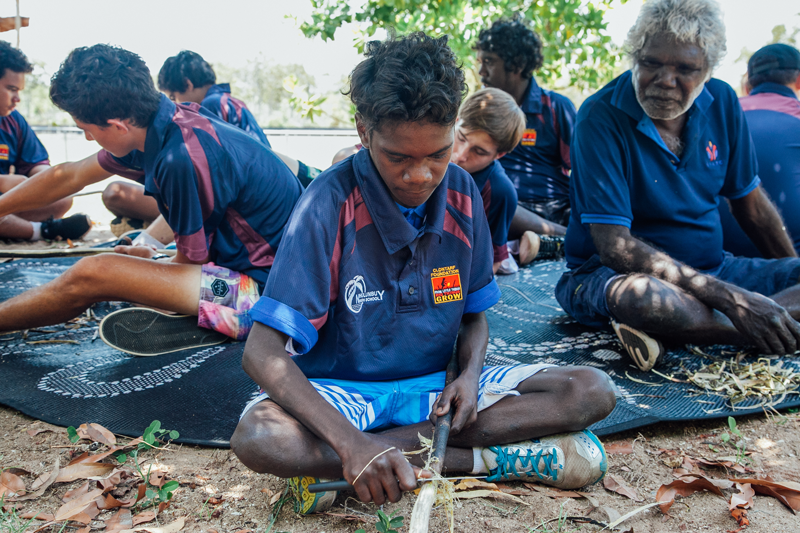 If you are thinking about or preparing to live and teach in a remote Northern Territory community, then this guide is for you. It provides practical and useful information to assist you prior to your arrival and is a resource to revisit during your time living and working remotely. The information in this guide is based on the advice, experiences and learnings of past and present remote Northern Territory educators. 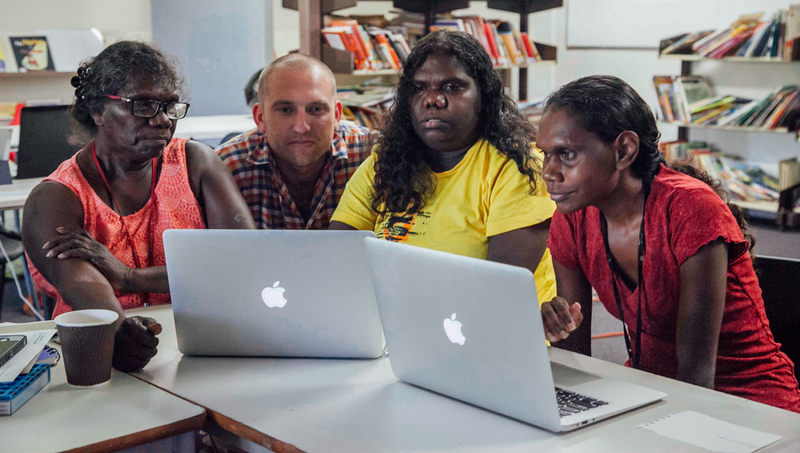 For many of these educators the experience of teaching in a remote community has been personally and professionally rewarding and often life changing. 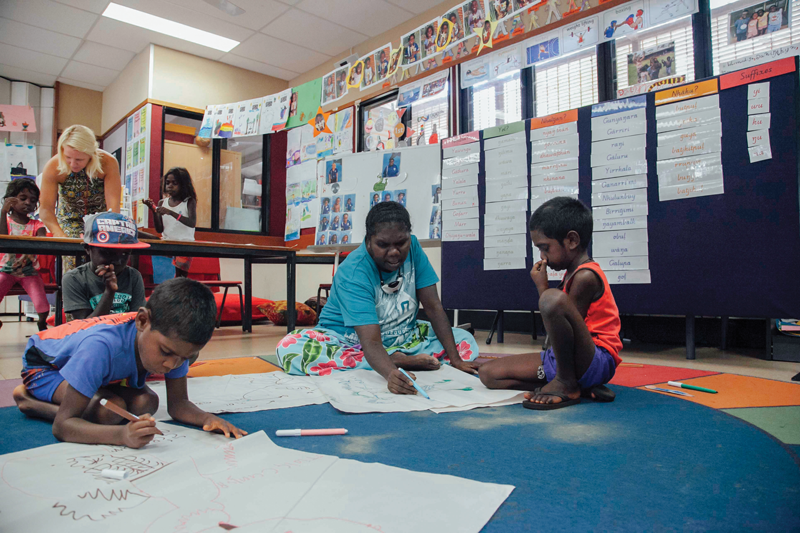 Teachers, cultural groups, communities and schools in the Northern Territory are all different. While it is not within the scope of this guide to cover all aspects of living and teaching remotely, it is hoped that the information presented will provide a strong foundation on which to build upon. 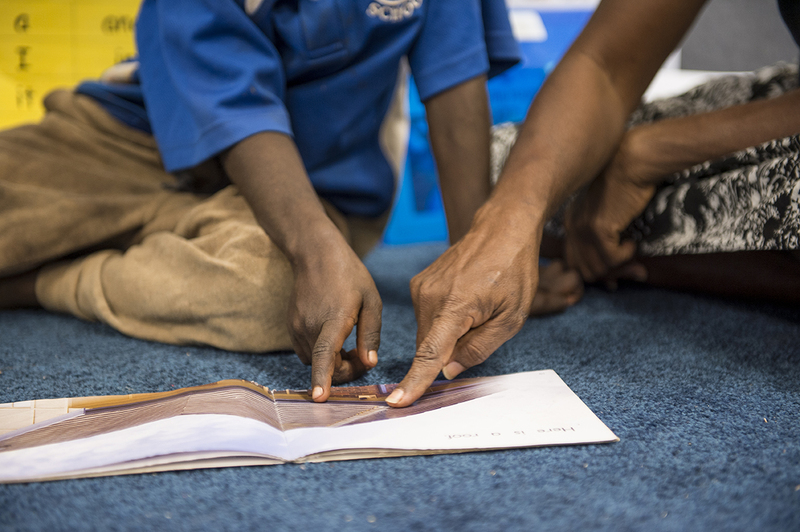 If you choose to take up a teaching position in a remote community, it is intended that the practical advice and suggestions within this guide will support your transition and prepare you to settle into your new role as a remote Northern Territory educator. 1. Why are you going to teach in a remote community? Teaching in a remote community is an experience like no other. Some teachers arrive and feel as though they have always been there; others find it more difficult to settle in. When you first arrive you may feel like you are on your own. You may be a long way from home. Family, friends and the familiar may be far away. You may be going to a place where you don’t know anyone. Getting there may be logistically challenging. The weather may be different. The languages spoken in the community may not be familiar. What image do you have of yourself as a teacher and as a person? How well do you know yourself and your culture? How much experience do you have interacting with people for whom English is an additional language or dialect, and whose world views may differ from your own? What is your knowledge of Indigenous Australia? What are your experiences with Indigenous people? What stereotypes might you hold? How willing are you to work with and learn from Indigenous people? How might you adjust to living in a remote location without your usual routines and support networks close by? How flexible and open to change are you? By taking time to think about these questions, you will learn more about yourself, your attitudes and your behaviours so as to become a positive and contributing part of the school and community environment. The more practical details you know about where you are going, how you will get there and what you may find when you arrive, the better equipped you will be. Below is a checklist of things to consider before you arrive. Bringing personal items to make your new house a home, will assist you in transitioning to remote community living. Appropriate clothing in remote Northern Territory communities is different from other areas of rural or urban Australia. As a teacher there will be an expectation for you to comply with the community dress code at all times. Seek information before you pack to ensure you bring culturally and climatically appropriate clothing. Listed below is some general advice applicable for most communities. If you are swimming, it is recommended that women wear knee length board shorts and T-shirts that are not see-through when wet. Men should wear board shorts and T-shirts. Public sunbathing is not advised. To move beyond the practical and develop a deeper understanding of the context where you will live and teach, it is important to research the community prior to your arrival. Information about history, community members, language/s and culture will assist in building your readiness to live and work in a remote community. No two communities are the same and once you arrive you will continue to learn more about specific local knowledge and cultural practices from those around you. Remote communities have much of the essential infrastructure of a small town with most communities having a community store, health clinic, school, arts centre and workshop. The majority of residents will be local Indigenous people with deep connections to the country on which the community is established. The number of non-Indigenous people living and working there will depend on the size and service needs of the community. Living remotely has its own rhythm, pace and feel. Obligations and responsibilities to people, places and cultural events can influence the day-to-day activities and functioning within the community. At a school you may find that student population varies depending on cultural events and obligations within and beyond the community. Remembering that these events are beyond your control, assists you to be prepared and flexible for change within the classroom. There may be opportunities for you to take an active role and participate in community and cultural events. Attending or participating in local activities such as sport or cultural events can be a fun and relaxing way to meet and get to know community members. Another way to get to know people is to shop at the community store where you can interact informally with children and their families. While you come to the community as a teacher, people often want to know who you are as a person. It is important to consider how deeply you want to get involved in community life outside of the school environment. It is acceptable to respectfully set boundaries and establish personal space for yourself outside the school setting. Seek advice, learn from it, keep a sense of humour and don’t be too hard on yourself. If you are confused and uncertain about something, don’t be afraid to ask. A simple question such as ‘What is the best way to …?’ will usually be met with generous assistance. Reciprocate by listening and learning. It is okay to make mistakes, particularly when you are new. Seek advice, learn from it, keep a sense of humour and don’t be too hard on yourself. The Northern Territory is characterised by vast distances and sparse, small population centres. There are many unsealed roads and single lane roads. Depending on the time of year, weather conditions can change very quickly. There is less traffic, but animals such as camels, buffaloes and kangaroos are often near and on roads in remote locations. They can appear in front of you, apparently from nowhere, especially at night. Some stretches of road are long and shared by road trains more than 50 metres in length. Most accidents are caused by drivers not yet experienced in driving to meet remote road conditions. It is important that when you drive, you plan your trip and let people know when and where you are going, and when you expect to arrive at your destination and return to your community. "Research the community you are going to so that you have a good understanding of distance, nearest towns, services available and climate." Accessibility and travel are dictated by the weather at different times of the year, you will need to consider your travel in and out of the community in advance. 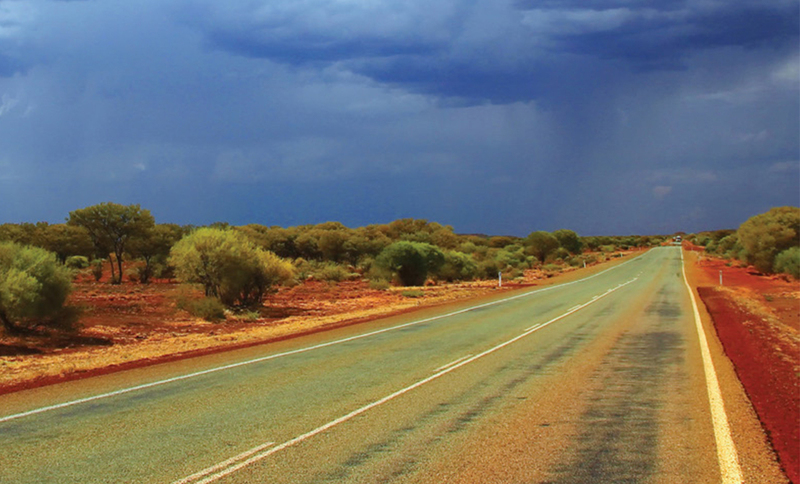 Much of the Northern Territory is Aboriginal land and many of the roads are not open to the public. In order to regulate access to Aboriginal land, Commonwealth and Northern Territory law requires that, subject to exceptions, a written entry permit is required. Unauthorised entry to Aboriginal land in the Northern Territory may result in fines. If the community you are going to is on Aboriginal land you should check with the department or principal as to what permits may apply. "It’s up to traditional owners to give permission because bininj [Aboriginal people / Kunwinjku language] know the sacred sites where visitors aren’t allowed. Even balanda [European/non-Aboriginal] people who have lived here for a long time should always ask first before wandering about in the bush. They should let traditional owners know before exploring bininj sites. Balanda should ask first because it’s good manners." Cultural competence is the ability to understand and respect values, attitudes, beliefs, and behaviours that differ across cultures, and to consider and respond appropriately to these differences. It is advised that you seek and follow school and community practices regarding local cultural protocols. to building positive cross-cultural relationships. One way to develop cultural competency is to spend time forming relationships with the adults and children within the community. Strong cross-cultural relationships are based on reciprocal trust and respect. Cultural competence grows through self-awareness, experience, respect, a non-judgmental attitude, empathy, quiet observation, acceptance of confusion, taking time to understand difference and the reasons behind why people do certain things. The key message here is to appreciate that there are different worldviews that must be respected. The longer you are in a community, the more you will grow to understand what these are and how they impact on the school and classroom. One way to assist with developing cultural competence is to learn about kinship and skin names. This helps you to understand how Indigenous people are connected to each other and country. It can assist you to understand what those relationships mean in terms of responsibilities and obligations, and the impact they may have on relationships in the classroom and school. Knowledge around kinship can also assist with deepening your understanding of worldviews underpinning particular cultural practices. Cross-cultural communication is a core component of developing cultural competence. Greetings, eye contact, touching, gestures, facial expression, personal space, wait time between question and answer are all elements of communication which are governed by cultural conventions and worldview. When living and working in a remote crosscultural context, it is really important to look after your health and wellbeing. maintain or create some interests that give you a break from work. When you first arrive, you may experience a degree of culture shock. Culture shock refers to the feelings of confusion, uncertainty and frustration that you experience when you come into contact with a new culture. It can affects individuals differently and varies according to life experiences. unduly criticising local customs or ways of being. Researching culture shock prior to arriving at a community and reading about others’ experiences, provides a wealth of insight into this area. Once you arrive at the community, there will be a range of resources you can access to support your health and wellbeing such as, the department’s Human Resource Services, the local community clinic, the school principal, colleagues, mentors and family. Local clinics can provide advice about health services and considerations. Why not drop in, meet the staff and learn more about the services offered. It is a good idea to research recommended vaccinations for the community where you are going and the clinic can assist with this. Government funded schools in the Northern Territory are administratively divided into regions. The head office is located in Darwin with regional offices in Alice Springs, Tennant Creek, Katherine, Palmerston and Nhulunbuy. Department support staff are located in the regional offices to assist and support you in your role. You may be working with Indigenous people from the local community who undertake a range of roles in the school. Some may be principals, senior teachers or classroom teachers. The majority may be assistant teachers, whose primary role is to team teach alongside classroom teachers. Other staff may be ancillary and include school bus drivers, office staff, canteen staff, cleaners and janitors. Larger schools may have specialist staff including home liaison officers, cultural advisors and attendance officers. Local people who work in the school can provide strong links between you as a classroom teacher, the students, their immediate and extended family and other community members. Indigenous school staff and students will have a diversity of linguistic and cultural backgrounds. There is no ‘one size fits all’ description. 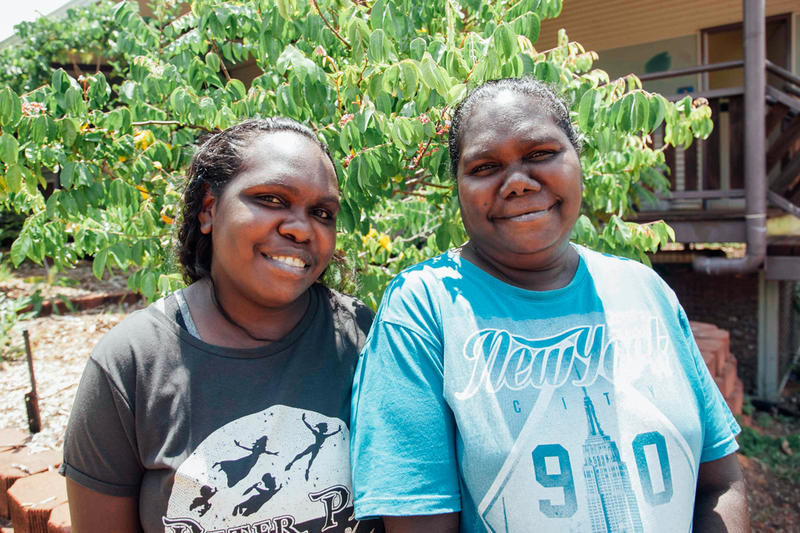 Indigenous staff bring a wealth of knowledge to the school and teaching context, and may offer great support to you within the school environment. English is likely to be a second (third, fourth or fifth) language. Local languages are predominately used in the playground, children’s homes and around the community. English as an Additional Language or Dialect (EAL/D) pedagogies, methodologies and strategies support students to engage with the curriculum and improve learning outcomes. EAL/D and other professional development opportunities are available to you through the department, regional offices, the school and your colleagues. Students may use either an Indigenous or English name at school. Spelling and pronouncing Indigenous names correctly is important. You may have difficulty at first and make mistakes. People will respect your attempts to get them right. Depending on kinship relationships with others, Indigenous people may not look at each other, or you, directly in the eye. In the classroom, students may not exhibit the listening behaviours you expect. They may look down or away when you are working with them one on one. This does not necessarily mean they are not listening and as you get to know the students, and learn from assistant teachers, you will develop a better understanding of body language cues in the classroom. Some students may have a conductive hearing loss caused by otitis media, a middle ear infection. Symptoms, severity, frequency and duration of the condition can vary from mild discomfort to severe pain and mild to serious loss of hearing. This may impact on student learning and engagement. If you have any concerns, seek advice at the school level and through educational hearing specialists within the department. To build your knowledge around the students and high impact remote teaching, reach out and extend your professional networks within the school and the department’s regional and central offices. Assistant teachers are a paraprofessional workforce who work to the Assistant Teacher Professional Standards, a set of professional standards which use the same domains as the Australian Institute for Teaching and School Leadership (AITSL) Australian Professional Standards for Teachers. Some will have completed or be undertaking formal study in education. 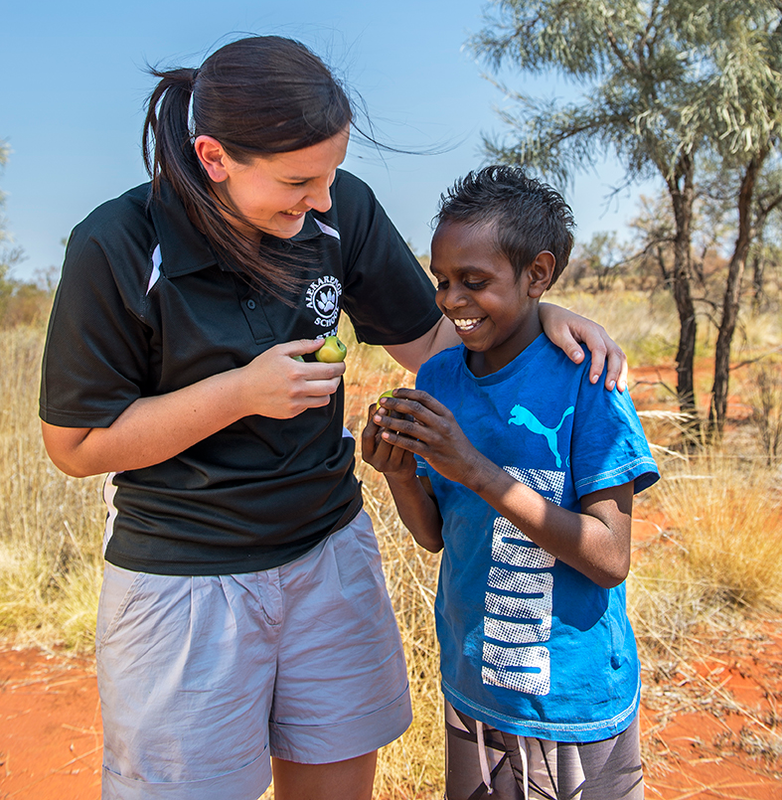 The relationships you develop with assistant teachers have the potential to help you live, learn and love working in a remote community. Assistant teachers will have knowledge of the students, their families and the community and can help you understand what is happening if a particular child’s behaviour, attention or motivation changes. Developing strong relationships with an assistant teacher will take time, effort and energy. It is important that you develop shared understandings around teaching and learning as this relationship is a powerful model for the students you both teach. Use inclusive language when referring to the teaching team and assistant teachers. Instead of ‘my’ class or students, use ‘our’. Instead of ‘my’ assistant teacher, use collegial language or the person’s name. teach together in ways that promote the independence of each team member (Graham 1999). Indigenous children continue to learn in and through their own language/s and culture. They may need to develop the ability to learn in nonIndigenous formal educational settings. It is important to think about how the knowledge, skills and experiences the students bring to school can be valued in the classroom and reflected in the teaching and learning program, including the activities that you do together. 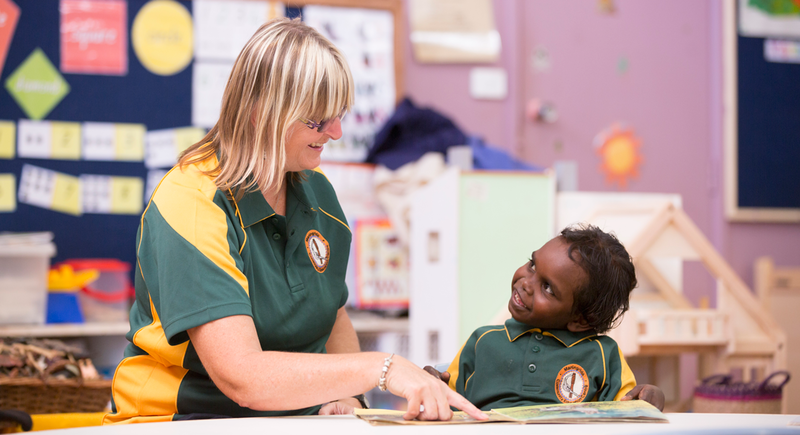 The Australian curriculum is used in Northern Territory schools. Most schools also implement literacy and numeracy teaching and learning programs. Some schools deliver a formal bilingual program where children learn to read and write in their first language alongside English. 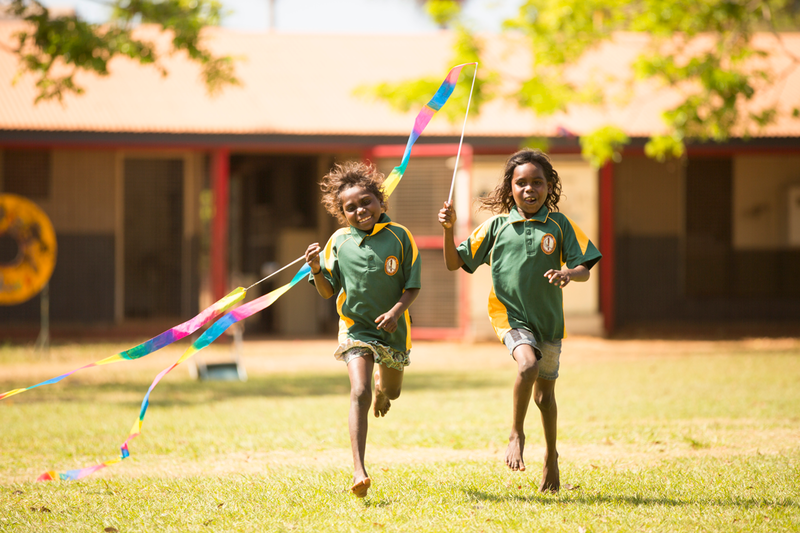 Other schools deliver locally developed Indigenous language and culture programs. It is important that you have high expectations about what each child can do. It is important not to assess their developing literacy or numeracy levels as their failure; rather, work collaboratively with experienced remote teachers and assistant teachers to develop suitable teaching methods, interesting programs and engaging activities. cultural worldviews are explicitly explored across the curriculum. In terms of behaviour management in the classroom and playground, it is important to approach this in a culturally sensitive and appropriate way. Actions such as disciplining all students, shouting, singling out and publicly shaming can be particularly distressing for Indigenous children. In conjunction with the assistant teacher, develop classroom management practices and strategies by negotiating a set of classroom norms and behaviours with the students. Be flexible to adapt these as your relationships and understandings develop. Seeking feedback and observing more experienced teaching teams in the classroom are great ways to build on your own classroom strategies, approaches to behaviour management and EAL/D pedagogies. The Northern Territory Department of Education’s educators and support staff warmly welcome you to our community. We look forward to working with you as we strive to provide quality educational services to all young Territorians and build confident and capable global citizens of the future. Burrunali, V, Garnarradj, K, Nadjalaburnburn, N, Garnarradj, B, Frawley, J, Namundja, M, Bulliwana, H 2001, Balance: it’s not just words: certificate III in Indigenous education work: a collection of writings by Gunbalanya students 2001, produced by the curriculum and research unit Batchelor Institute of Indigenous Tertiary Education, Batchelor Press, Batchelor, Northern Territory.